Here are the various software projects I’ve worked on over the years, at least the ones for which I’ve created web pages. These are usually not research prototypes, but software or libraries that are available publicly, whether as source code or executables. 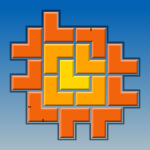 Good Fences- Good Fences is a geometric puzzle game for iOS and Android in which you must surround a Kernel with a Fence made up of copies of the kernel. 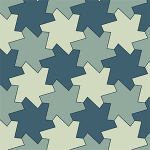 It should appeal to people who enjoy standard logic puzzles like Sudoku or Kakuro, but offers more hands-on geometric appeal, as in jigsaw puzzles or board games like Blokus. 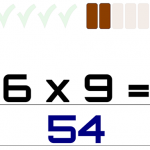 Multiplication Drill- MultDrill is a web app that children can use to practice their times tables. It was also a first experiment in developing a web app using Haxe and OpenFL. Spin Draw- Spin Draw is an iPad app that simulates a generalized version of a HOOT-NANNY, a die-cast metal drawing toy from the early twentieth century. The HOOT-NANNY belongs to a large class of mechanical drawing toys, of which the most famous is probably the Spirograph. 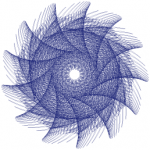 Spin Draw can produce a broad class of fun swirly line drawings.